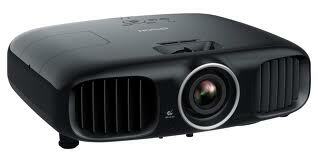 Home > Frequently Asked Questions > Buying a video projector: LCD, DLP, CRT ? Which selection criterias ? Buying a video projector: LCD, DLP, CRT ? Which selection criterias ? LCD (liquid-crystal display) projectors use liquid crystal panels. As polarized light passes through the panels, individual pixels can be opened to allow light to pass or closed to block the light. The combination of open and closed pixels can produce a wide range of colors and shades in the projected image. LCD projectors are very easy to set up and use and are perfect for professional presentations during meetings, conferences and trainings. In DLP projectors, the image is created by microscopically small mirrors (about 500 000) laid out in a matrix on a semiconductor chip, known as a Digital Micromirror Device (DMD). Driven by electric power, these mirrors can be repositioned rapidly to reflect light through the lens. Rapidly toggling the mirror between these two orientations (essentially on and off) produces grayscales, controlled by the ratio of on-time to off-time. Colors are then produced through a rotating filter system containing red, blue and green. DLP projectors often are more expensive then equivalent LCD projectors. What you get for your investment is a better quality of the image and an amazing color depth. DLP technology offers far less visible pixels, which makes it perfect for a use in home cinemas. 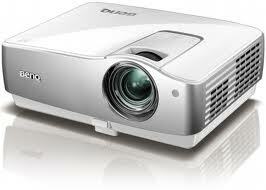 DLP projectors are more fragile than LCD ones, it is therefore not recommended to travel with them. CRT projectors use picture tubes (mostly 3 separate ones ?? one blue, one red and one green) as the image generating element. The red, green and blue portions of the incoming video signal are processed and sent to the respective picture tubes whose images are focused by their lenses to achieve the overall picture on the screen. This color model is called the RGB color model in which red, green, and blue light are added together in various ways to reproduce a broad array of colors. It is used for videos as well as graphics and cutting software. A CRT projector has to be correctly fixed and set up. Once installed, it should not be moved at the risk of deteriorating the projection quality.